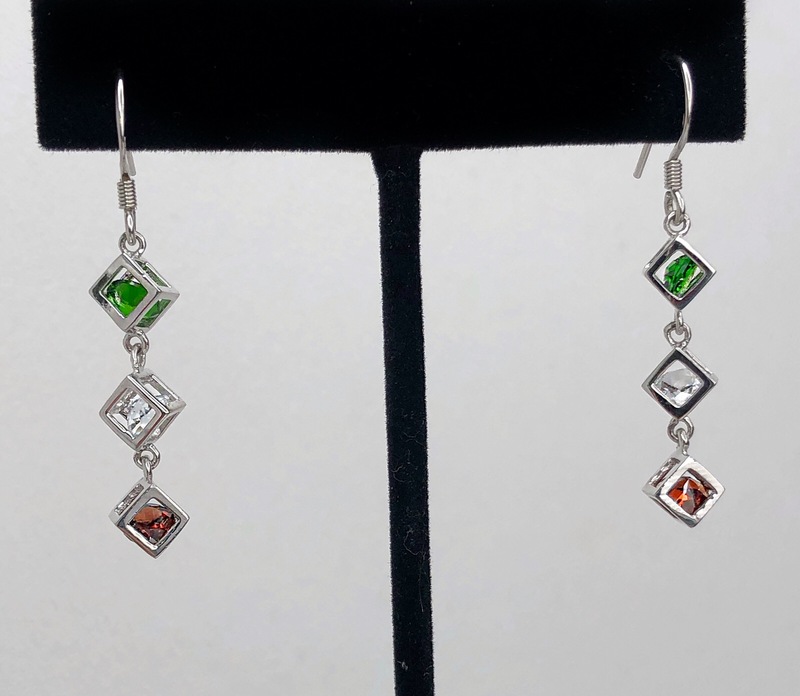 Triple tier cube earrings. Peridot, Garnet, Crystal all set in sterling silver. They sparkle in every direction, very good quality and not heavy. Peridot: A “stone of rebirth and renewal”. It promotes peace and happiness and attracts success and good luck. Protects against negativity and nightmares. Healing to damaged relationships. Attracts comfort and builds vitality. Garnet: Energizes, revitalizes and balances energy. Inspires love and devotion. Enhances sexuality and as a “Stone of Health”. It clears negative energy and enhances personal power for success.